No country can succeed without law and order. The Supreme Court (Court or SC) as the bastion of law and order must act decisively on the landmark case before it. The Supreme Court is under pressure to be fair, bold, courageous, tough, objective and independent. The Court is also under pressure to apply the laws, election rules and agreed procedures to the evidence before it and produce a decision that affirms the people’s faith in the judiciary and the country. Everything is riding on the Court’s judgment. The choice before the justices is not a choice between Charybdis and Scylla. It is a choice between right and wrong. It is also a path finding choice that determines the destiny of this country. This is a choice that Supreme Court justices are paid to make and they must apply the facts and the evidence to the law and pronounce a fair and decisive decision that makes Ghana a better place for others to believe in again. The SC already set out the issues for the trial very clearly and succinctly at the beginning of the trial. Having set the framework the SC cannot, and should not, be seen to be shirking its duties to uphold the Constitution and laws of the land. If by their assessment of the voluminous evidence and understanding of the electoral laws, the petition lacks merit they should uphold the EC's declaration of John Mahama as validly elected. (Option 1) If however the evidence and applicable laws point to a reversal of the EC's declaration, the SC should state that and ensure that the EC should declare Nana Addo duly elected. (Option 2) Finally, if neither candidate scored over 50% of the VALID VOTES cast, the SC should order a run-off within 90 days (Option 3). These outcomes are fully captured in the existing body of electoral laws and there is no need to resort to so-called 'bold' or 'innovative' and “outside the box” but reckless decisions which are NOT grounded in the laws of the land. Before discussing the issues involved in the second and third options, I would like to briefly consider some peripheral issues that have been raised regarding the Court becoming partisan and alienating half of the electorate if it rules against the NDC or the NPP. The position involving a revote of both the presidential and parliamentary elections being advocated by some extreme intellectuals is neither supported by the laws (or the evidence). The SC trial focused only on the presidential petition and the evidence presented relates only to the presidential election. Additionally, the oft repeated comment that '... It is NOT the role of a Supreme Court to determine the winner or loser of a presidential election' is simplistic and misleading. The role of the courts is to administer justice and if they determine that one candidate was illegally and unjustly declared to be the winner of an election, the courts must quash that illegality and pronounce the rightful winner. The parliamentary elections and any related petitions must be heard and adjudicated separately. The High Courts (not the SC) have the jurisdiction over such matters, and the SC will be over-reaching its mandate to pronounce on parliamentary election cases, which have not yet been properly presented in the High Courts. A revote of both Presidential and Parliamentary elections amounts to a twisted logic with a toxic conclusion. It is not a bold decision. It is a bold and reckless mistake! It is a decision that is outside the law and does no good to anyone but creates dangerous precedent and mayhem. It is an irresponsible suggestion. Additionally, a revote decision will increase uncertainty in the country and throw the economy into a tailspin and not be in the supreme interest of the country. Ghana is not looking for a face-saving solution that makes the EC smell good. On the contrary Ghana is looking for a verdict which says enough is enough, a verdict that lays a foundation for a new era in our politics. A new era devoid of political corruption, a new era driven by reason, justice, equity and governance where leaders are elected by the people under a free and fair election. Also, using the figures of the contested elections which gave Mahama a razor thin victory as the basis to indicate that the nation is split in the middle is flawed because the recalculated results based on the petition gives Nana Addo a landslide victory of 60% to 39% which was stolen from him. Further, the contention that the Supreme Court will in effect commit a breach of bureaucracy if it awards the winner to another candidate fails to take into consideration the law as it stands which clearly delineates the action required by the justices. Furthermore, the justices making a valid legal decision based on the law and the evidence will not make them aligned to a party especially where the evidence presented is incontrovertible and the critics do not dispute that. If therefore a judge becomes aligned to a party because a judge renders a decision which supports one of the two parties in a case before the judge then there will be judges aligned to all winning parties in all courts which is not so. A judge will only be considered partisan and aligned to one party if and only if justice is not done and NOT seen to be done! This explains why we are asking for the justices to be bold, fair, courageous, independent, objective and decisive and use the law and the evidence to make their decision and produce a just verdict. Finally, the floodgates arguments are not borne from the facts and law. The law stipulates who can challenge the election results and the Supreme Court will not necessarily accept frivolous lawsuits. Bringing petitions about presidential elections to the Supreme Court requires more effort that going to see a lawyer. No one foresees any such frivolous action simply because NPP wins the case because of incontrovertible evidence. Petitions must be presented to the court if they have cases and there is nothing to show that this will happen simply because of this case. Revise the 2012 Election Results and Invalidate Mahama’s Victory and Award the 2012 Presidential Elections to Nana Addo Dankwa Akufo-Addo (Option 2). The critics to this decision contend that Nana Addo will not be able to do much with the current make up of the legislature (Ghana’s Parliament). The critics are wrong for a number of reasons. First, there are about 38 cases of election petitions for the parliamentary filed by the NPP that are yet to be settled by the courts. Although these cases have not received as much coverage as the presidential petition, it is believed the courts will be emboldened to act on them expeditiously, once the presidential petition is settled. Second, to even entertain the critics’ argument is to agree that any future candidate or aspirant who wins the presidency and whose party fails to win the parliament should not be sworn in and that the incumbent President be allowed to continue in office because such win is "hollow" and no meaningful work could be done by the Executive branch. What a bizarre outcome this will be? In the US, there are cases, and they are many, in which, the incumbent President worked with the opposition party. Presidents Bush, Clinton and Obama have worked in opposing members of their party in congress to formulate policies to the benefits of their nation. So the critics’ position to the decision to invalidate President Mahama’s victory should not be entertained, as it is not based on any empirical evidence. Those who are arguing that it will be disruptive to change leadership are wrong on several fronts. A change in government through elections is not disruptive merely because the incumbent has been displaced. To accept this notion defeats the necessity to change party in power for nonperformance. But for the massive irregularities, improprieties and fraud, Nana Addo would have been declared and sworn in as the president of the Republic. Would we then consider such legitimate transfer of power disruptive? Should this be the argument, then there should be no elections? After all are elections not disruptive? Are changes in government not disruptive by itself? There cannot be peace without justice. We know better that justice and peace go together. So for those who are beating the drums for peace and still maintaining that changing of power via the powers of our laws is disruptive, let truth be told, our legal system will not deny prosecutors the opportunity to exhume a body for forensic evidence to convict a criminal simply because it is disruptive to the grave and messy, would you? Must we call acts to stop criminals from actions contrary to our settled laws disruptive? Why then must we agree to such simple minded arguments that application of our laws to acts or lack thereof of unscrupulous people in our society is disruptive? Must we proscribe such behavior to our budding democracy? No one will say doing the right thing to preserve our laws is disruptive and therefore if the Supreme Court deems it fit to act this way they must! The Supreme Court must act fairly, boldly, courageously, independently and ensure there is justice and peace and if the decision is unprecedented, then let it be. If unprecedented brings justice, then that is what Ghana needs at this time. The people of Ghana are not in any mood for compromises and face-saving solutions. They are ready for straight talk express approach; a radical approach that says enough is enough! No nuances, no tricks, no winding roads, just straight solutions! Yes, this decision by the Supreme Court will be "unprecedented”, and will send a clear message to the Electoral Commission (EC) and its Chairman, you cannot take the will of the Ghanaian people for granted through collusion and fraud. This is precisely why the petitioners are in court! We want to end business as usual! We want to let Ghanaians and the rest of the world know, in Ghana, the rule of law functions and the law is SUPREME! Legally, a run-off is called for if and only if none of the candidates crosses the 50% line. There are pundits who seek Option 3 as a compromise (face-saving option) and not as a result of the strict reading of the election law. Such pundits belong to the old school of “Fa ma Nyame” (Leave it to God) and “Gyae ma no nka”’ (Do not rock the boat). They belong to the status quo culture of mediocrity. Such a compromise is fraught with many issues. A compromise decision is not in the best interest of the judiciary and the people of Ghana who are seeking justice and peace in Ghana. The people of Ghana expect that the Supreme Court will exercise its judicial power through interpreting our constitution and make a decision based on Ghana’s laws, statutes, election rules and procedures and the preponderance of the evidence submitted by the petitioners and render a verdict commensurate with the evidence. To even consider such a compromise option outside the strict legal considerations it will be worth educating readers of this piece of the material weaknesses in Ghana’s electoral system as discussed below. The 2012 election petition at the Supreme Court has enabled all Ghanaians to learn about the material weaknesses in our election administration. Specifically, we have a deliberately compartmentalized system which allows fraud to be perpetrated at the polling station, constituency, district and regional collation centers as well as in the strong room without detection. We have procurement practices and procedures which are fraught with bribery and corruption and lack transparency and allow needless duplicate pink sheets to be ordered and introduced at the collation centers. We have a voters' register which is deliberately bloated through processes and procedures designed to bloat the register through opaque actions including opaque reconciliation exercise which exclude the involvement of stakeholders such as the political parties. We have ballot paper printing, Polling Station Sheets (Pink Sheet) printing and ballot paper accounting and collation sheet printing and distribution procedures which are fraudulent and designed to produce an unfair outcome for incumbency. We have collation exercises which are corrupt and fraudulent. We have manual systems which are designed to ensure fraud occurs. We have deliberately excluded technology in certain parts of the process in order to facilitate manipulation of results, corruption and fraud to the advantage of the incumbent. We lack adequate quality control procedures for all aspects of the election processes which lead to the release of erroneous results, We have untrained staff and staff who are aligned to parties making their judgment corrupt and lacking independence. There is an urgent need for better established control procedures which are agreed upon by all the parties and reviewed by technical control experts and other professionals. Any attempt to re-vote without newly improved and better control procedures will lead to more acrimony and will not augur well for Ghana. It may lead to violence and this charged emotional environment may become uncontrollable and place Ghana in jeopardy because people are fed up with the system of corruption in the country. Below is a listing a few of the concerns which space will not allow me to adequately discuss. · Which Elections? Is it the first round or a run off? · What happens If the same irregularities are observed again during the Revote or Re-Run? · Who Will Administer and Supervise the Election? Afari Gyan and the current EC? · Who Votes? What Voters’ Register? Is it the bloated register with 6 million bloated voters? We do know we live in dangerous times in Ghana considering the violent tendencies of the ruling party as shown immediately after the last elections, the vitriolic and high octane utterances of threats and intimidation made on the airwaves and the seemingly apathetic leadership to provide a lasting solution. It has fallen onto deaf ears that the ruling party will chastise the judges who will decide to vote to reverse the travesty of the EC. Similarly, if they shy away from their constitutional mandate but to pass the buck back to the Ghanaian electorate to ask for re-vote or re run on a compromise basis, they will incur the wrath of the NDC and its aparatricks. With the NDC in power during the temporary period, the well-being of the justices may well be in jeopardy. 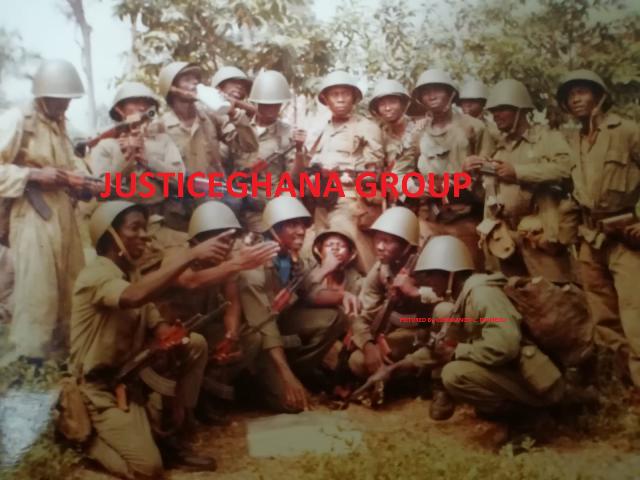 We know the NDC party is full of “revolutionaries and functionaries” from the PNDC era and they have not renounced their evil, corrupt and violent ways, which included the killing of the judges a quarter of a century ago. Yet we strongly hold that these honorable brave men and women of the highest court of the land should stand firm and deliver a just verdict irrespective of their personal affiliations for the sake of mother Ghana. As Kofi Annan is purported to have said the Supreme Court must be fair! Ghanaians are saying the Supreme Court must be bold, courageous, tough and independent and render a verdict which is seen to be just. It is our belief that rejecting re-vote or a re-run will definitely produce a law and order society if the judges show courage, boldness, fairness, independence and apply the laws, elections regulations and procedures to the evidence in court and make a tough, firm and honest judgment in the interest of the country. Since the whole world is watching us, it is not far fetched that these judges by doing the right thing will get international recognition and acclaim and may become international celebrities who might be invited in many countries to speak about their experiences on the Supreme Court of Ghana during the landmark decision. It is not out of the question that a Nobel Peace Price may fall in their laps.